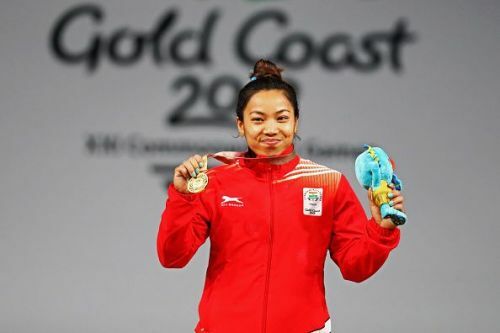 Mirabai Chanu is known to be India's top weightlifter in the 48kg category and was set to lead the Indian challenge in the sport at the upcoming Asian Games in Jakarta. However, the 23-year-old had been having lower back pain which kept her out of training for the past six weeks. The Manipur-born weightlifter had been advised rest post her injury woes. Mirabai shot to fame when she bagged the Gold medal and became the World Champion at the 2017 World Weightlifting Championships. The young weightlifter also bagged a Silver in the 2014 Commonwealth Games (CWG) at Glasgow before ultimately clinching the gold medal at 2018 CWG at Gold Coast earlier this year. The Padma Shri awardee is one of the most respected weightlifters and has become a role model for others in the sport. The back trouble has put Mirabai's Asian Games participation in jeopardy and become a matter of great concern. The results of all the tests that have been conducted so far have been good. There is not any problem in the back now. However, there are still a couple of tests which we have to get done on Friday (July 27). The final update of whether or not Mirabai will be able to participate in the Asian Games 2018 will be out only once the results of these tests are out on Monday (July 30). Thanks to the blessings of her supporters, there is no pain in her back now. This can also be credited to the rest she has taken to ensure a swift recovery. Whatever time has gone has been lost. I just hope that I can start training with her as soon as possible and catch up as much as we can. Sharma also revealed that Mirabai has been advised rest yet she is undergoing regular fitness exercises, but lifting weights is a strict no-no. There is some good news as well -- Sathish Sivalingam was also facing injury woes but has successfully undergone rehab and his training for the Asiad is in full swing. Fans will be praying that Mirabai clears the upcoming tests as well and is fit to lift at the Asian Games. Losing one of India’s brightest medal prospects would certainly be heartbreaking. Although the training time for the Asiad is more or less over, Mirabai's determination to be back in training still makes her one of the toughest contenders. Meanwhile, other Indian sportspersons prepare for the Asian Games which is set to begin on August 18. They will try to bring a record haul as a mammoth contingent is being sent in this time around. How many medals do you think the Indian weightlifting contingent can bring home from the 2018 Asian Games? Do let us know what you feel in the comments section below.